1) You want them to be able to dry it and store it away while it is still warm out. My rule of thumb is to NOT feed syrup after October 1st. 2) The faster they can get the syrup stored away, the more time they will have to forage for that Fall pollen that will be so crucial to healthy and copious amount of Spring brood raising in February/March. 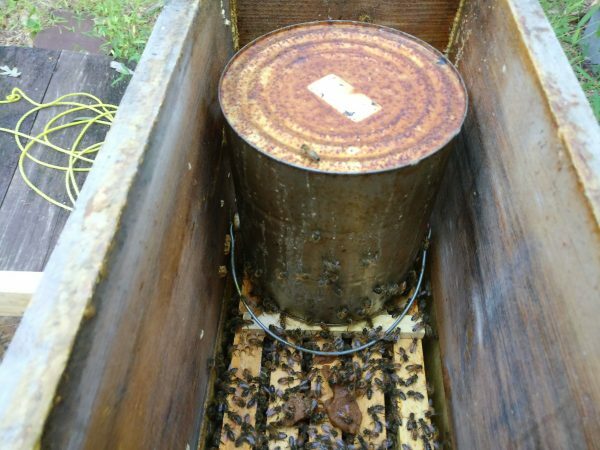 My preferred method of feeding syrup quickly is in inverted gallon paint cans right on the top of the frames with an empty hive body around it and covered. What is nice about this method is you do not need to worry about robbing which can become a great problem this time of year. 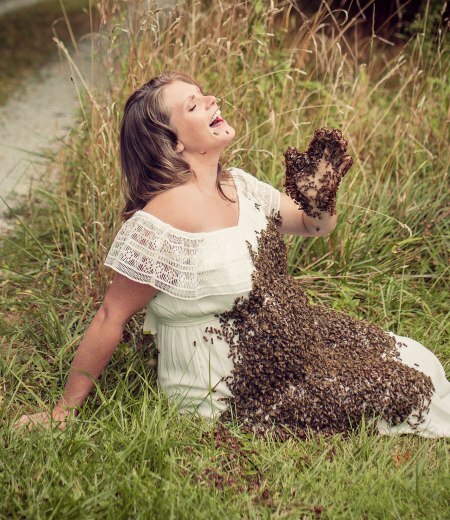 If a hive is really light, you can even put more than 1 can on at a time. Gallon glass pickle jars can work equally as well, but are a little taller than the paint cans and can cause interference with the top depending on the shims you use. A while back I wrote my thoughts on the different types of feeders that can be found here -> https://beevac.com/feeder-compare/ Like most things in beekeeping, it comes down to personal preference, so I encourage you to determine which types of feeder is best for you. For those who want to do some proactive treatment to boost the health of your bees going into winter, now would also be the time for that as well. I will have 100mg packets of SuperDFM & 10ml bottles of Nozevit+ available at the meeting. 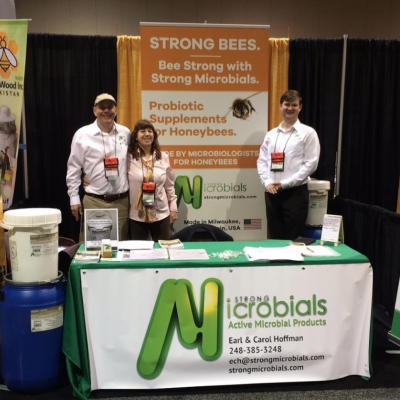 The Bee Improvement team had a teleconference with the fine folks from Strong Microbials back in July. A recording of the audio conference is available HERE. The lack of a honey flow stresses bees, stress makes the bees more vulnerable to viruses which ultimately kills the bees over the winter. That means, after a poor fall honey flow, a lower number of mites in the hive could give the colony problems compared to a year with a good honey flow in the fall.